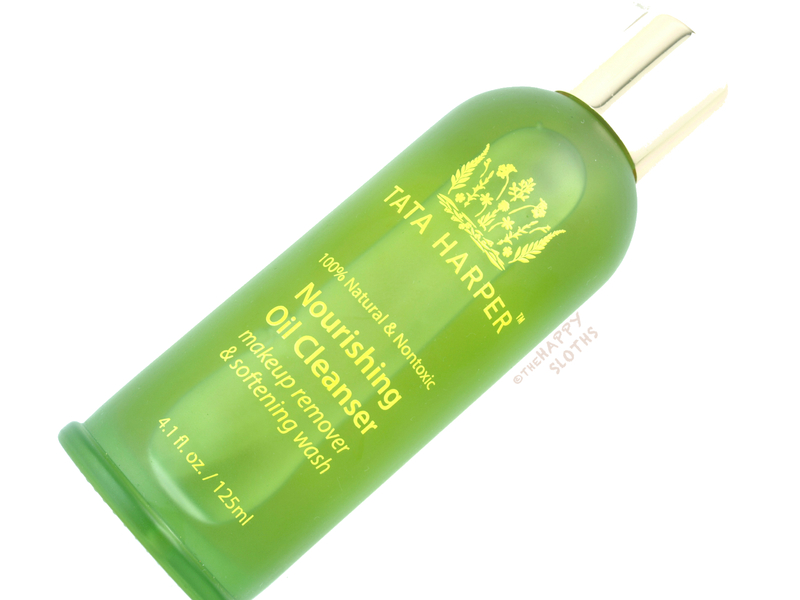 Tata Harper's Nourishing Oil Cleanser comes in a super pretty green frosted glass bottle. The oil dispenses from a pump and the bottle holds 125ml of product. I'm not sure why but my cleanser looks light yellow through the bottle while all the photos online show the oil as being a dark amber shade. The Nourishing Oil Cleanser is made with a plethora of plant oils, including oils of sunflower, olive, apricot kernel, jojoba seed, and argan kernel. Also included in the ingredients are extracts of arnica leaves, calendula flower, comfrey leaves, and meadowsweet flower. The oil has a heavy and luxurious texture and it has the most calming and elegant scent, thanks to the added geranium essential oil blend. I've tried a lot of cleansing oils before and this by far feels the richest and most nourishing on the face. The oil gently removes all traces of impurity, including even the toughest-to-remove waterproof makeup. Like the Tatcha Pure One Step Camellia Cleansing Oil, this cleansing oil is quite a bit more expensive compared to the Shu Uemura cleansing oils ($94 CAD for 125ml versus ~$79 CAD for 450ml). 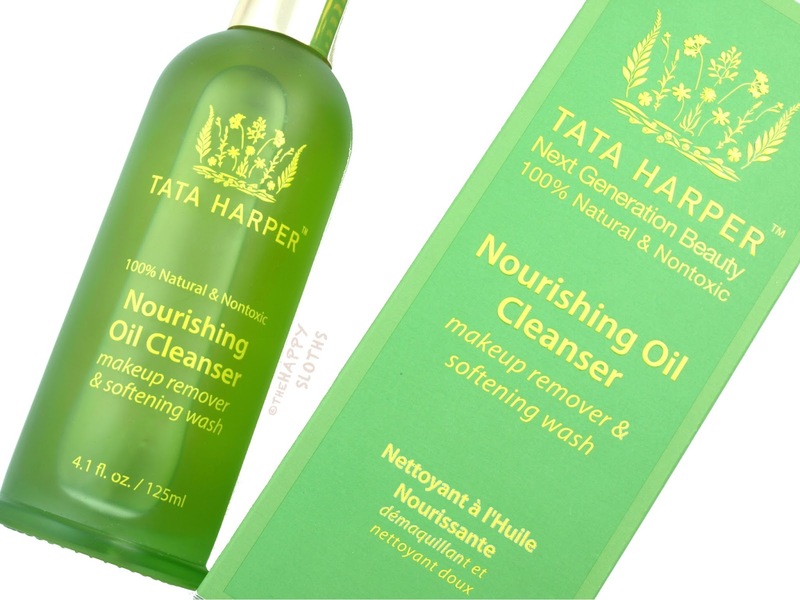 However, I do feel that the Tata Harper formulation is slightly superior compared to the others so if you have the budget to splurge, the Tata Harper Nourishing Oil Cleanser is definitely worth a try. Tata Harper is available online at Tata Harper, and online and in stores at Sephora.